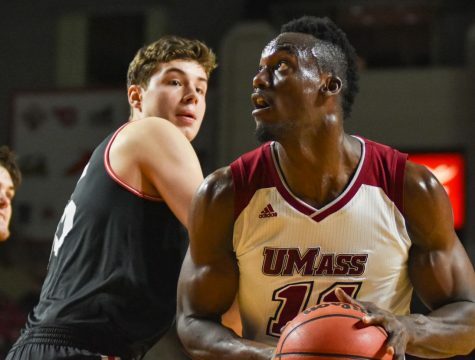 For the second time this season on Wednesday, the Massachusetts men’s basketball team faced off against a top-25 team. 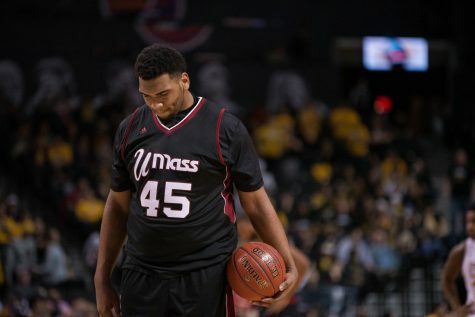 And for the second time, the Minutemen left the arena on the short end of a blowout. 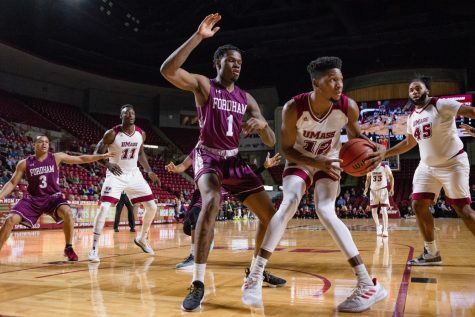 UMass (8-6, 1-1 Atlantic 10) suffered its biggest loss of the season Wednesday night against conference rival No. 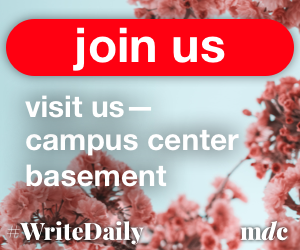 25 Dayton (12-2, 2-0 A-10) 93-63 at UD Arena. 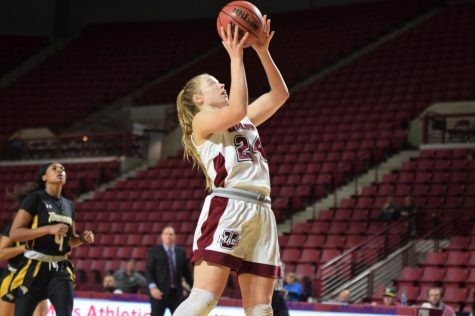 The Minutemen fell behind early, trailed by as much as 31 points in the second half and led for a total of nine seconds. 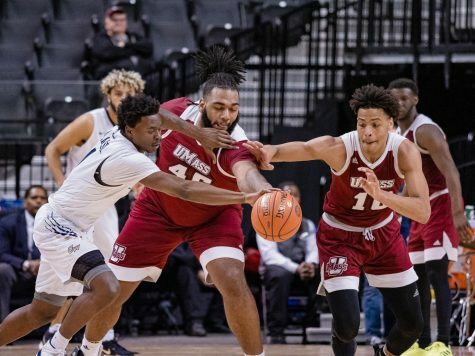 “They’re probably the best team I’ve seen on tape from our conference and maybe the best team we’ve played other than Providence all season long,” UMass coach Derek Kellogg said to reporters following the loss. The Flyers opened up a 40-24 lead at the half and continued to expand its advantage coming out of the break. 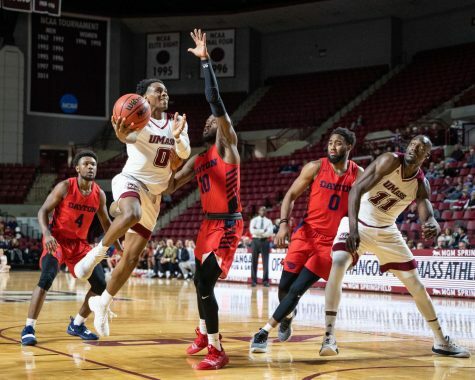 The Minutemen then embarked on a mini run toward the midway mark in the second half behind six straight points from senior Trey Davis, but it was quickly squandered by two straight ensuing 3-pointers from Dayton by the 10:34 mark. 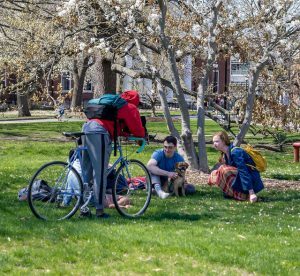 Davis (21 points), Clark (21) and Hinds (four) are UMass’ three top scorers for the season. 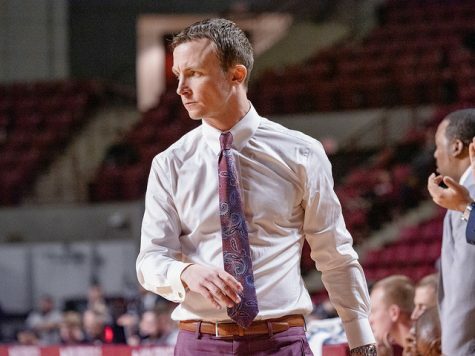 Although Davis and Clark tied for a team-high in points Wednesday, Kellogg said they were not efficient enough on either side of the ball against Dayton. 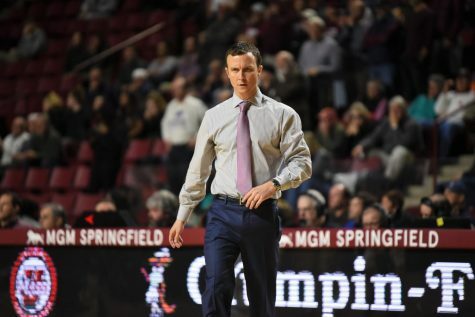 In particular, Kellogg said he was disappointed with the Minutemen’s defensive performance around the 3-point line, as the Flyers finished 11-of-25 from deep following a 3-of-25 performance from 3-point range last Saturday against Duquesne. Dayton’s deep lineup finished with six double-digit scorers, led by guard Charles Cooke (18). Freshman Steve McElvene added 13 points playing down low in the post, including 12 in the first half. 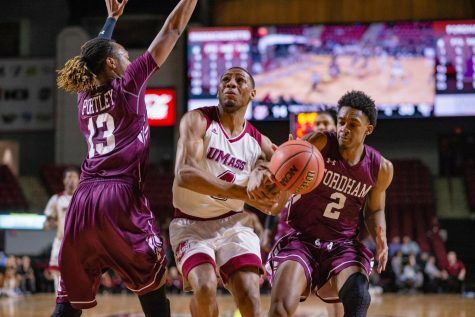 For the Minutemen, Wednesday’s loss matches their lowest scoring output of the season, going back to UMass’ 67-63 loss to Central Florida on Dec. 8. Kellogg attributed the offensive struggles to early turnovers, as the Minutemen finished with 16 giveaways. 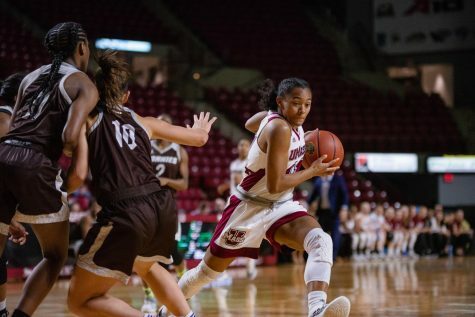 UMass returns to action looking for its second conference victory of the season Saturday afternoon against St. Bonaventure.